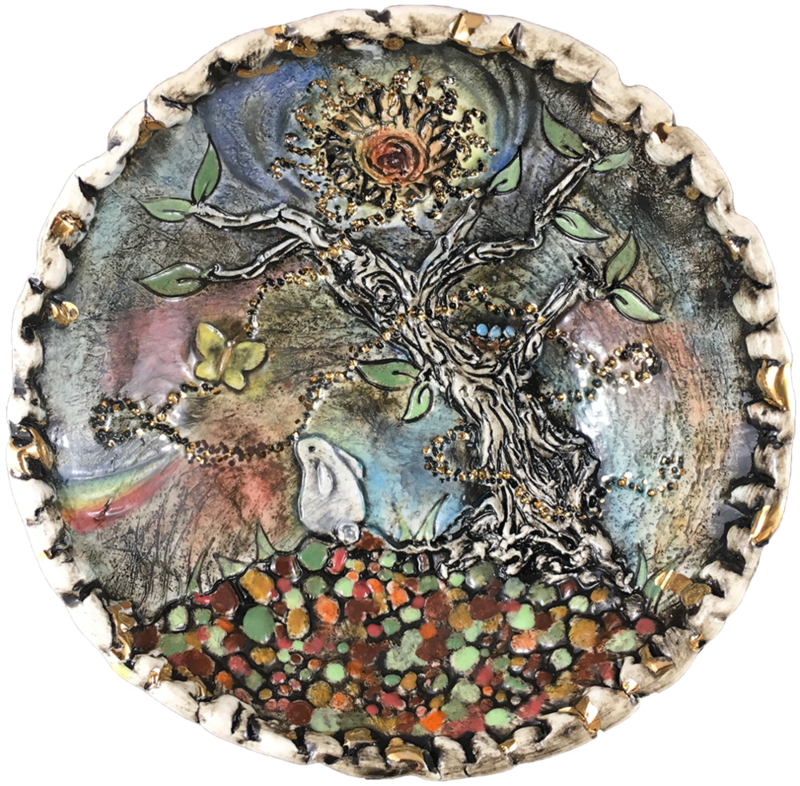 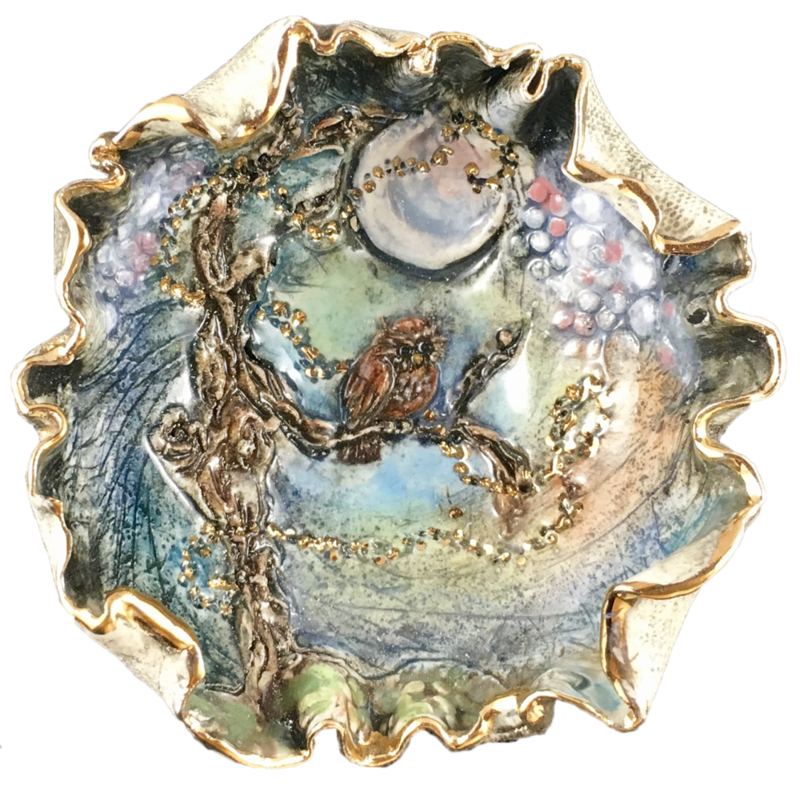 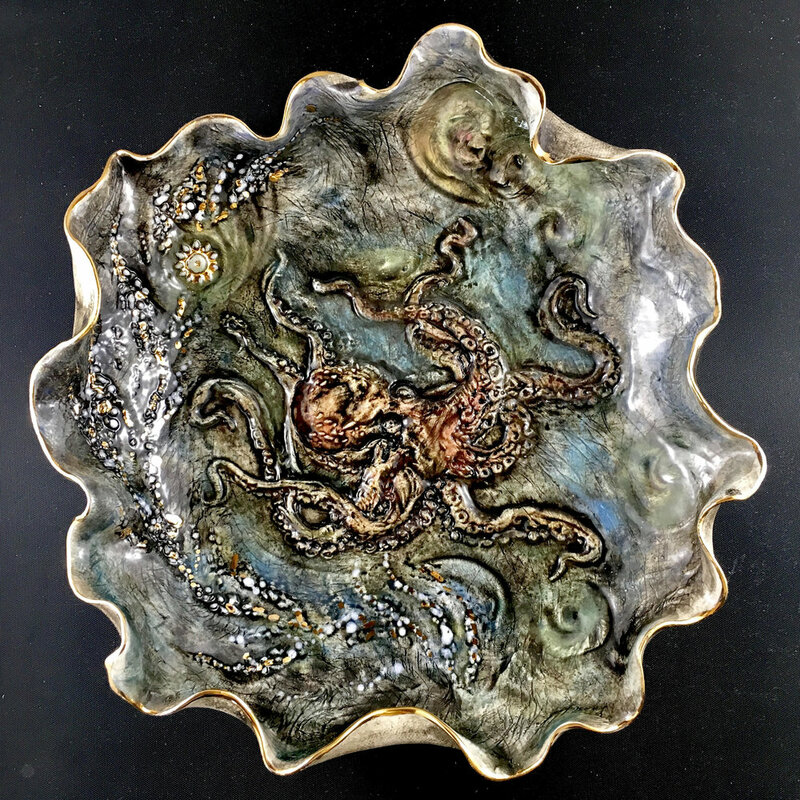 The meditation series of plates and bowls are inspired works of art. 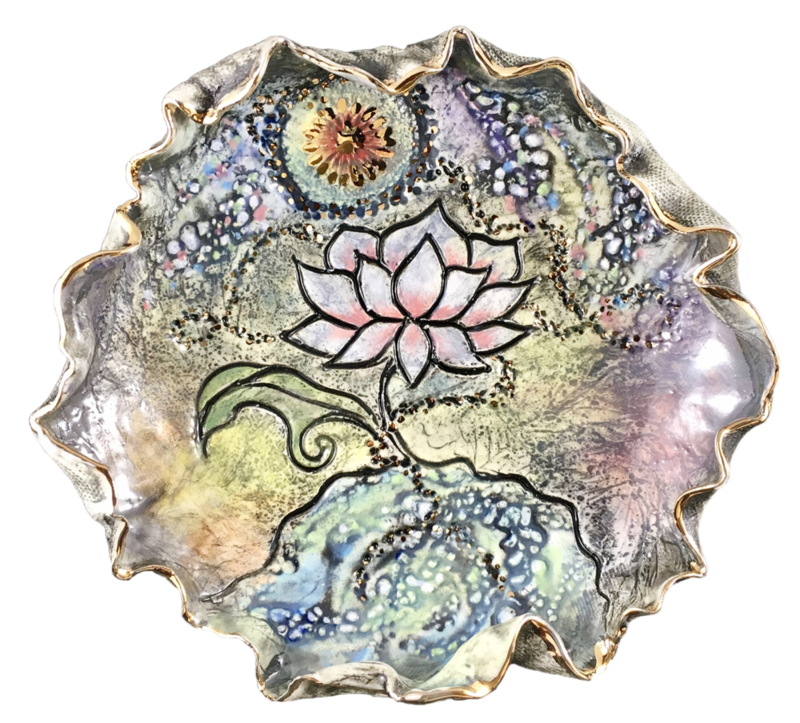 Each piece is lovingly infused with prayer and used as a focal point for assisting one into a meditative state. 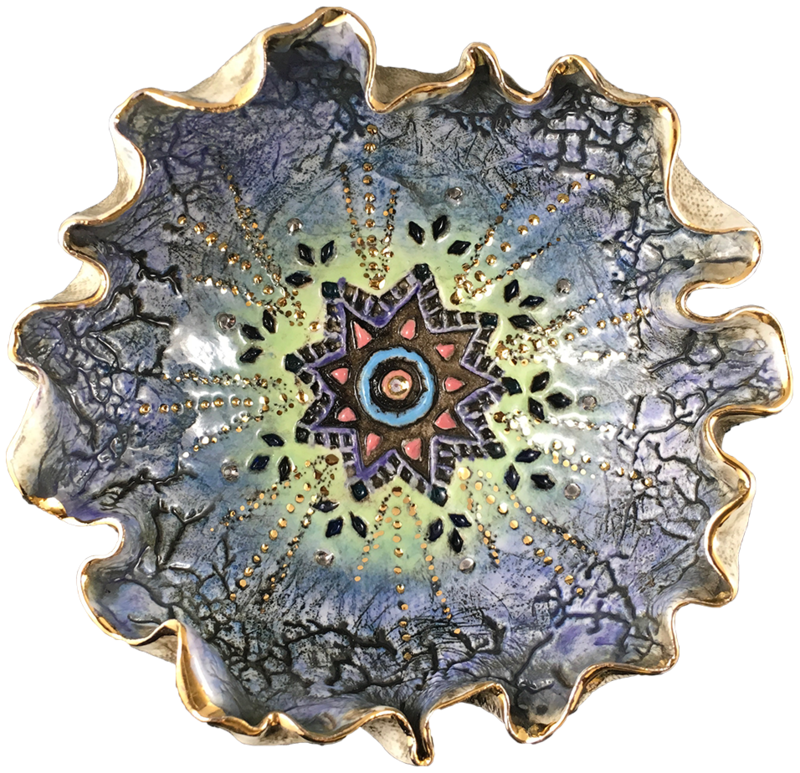 They are made with healing intent, each piece comes directly from the heart.